In October, schools within Dulwich College International network had the opportunity to welcome Dr Joe Spence, Master of Dulwich College and Dr Cameron Pyke, Deputy Master External at Dulwich College. Each year, Dr Pyke visits the Dulwich College International family of schools to ensure that all schools meet the Dulwich College standards and quality of education. During his visit this year, he visited our sister school, Dehong International Chinese School, for the second time. Dr Pyke met with the school’s leadership team, teachers, students and parents. He observed classes and was impressed by the school’s enrichment programme, Qidi. Dr Pyke enjoyed meeting and being interviewed by the students and he mentioned that studying is a long-term process but the joy and interest help students to learn, which is important as a student. Dr Pyke’s feedback was positive and encouraging and we look forward to welcoming him back at our family of schools next year. 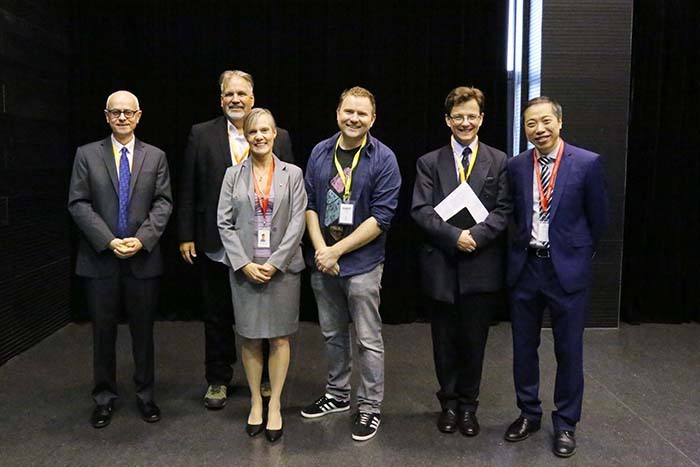 Dr Spence was visiting Dulwich Old Alleynians in Shanghai and took the opportunity to visit Dulwich College International schools in Shanghai and Suzhou. He also visited our schools in Seoul and Singapore. One of the purposes of Dr Spence’s visit was to talk about the forthcoming Dulwich Olympiad 2019 in London. 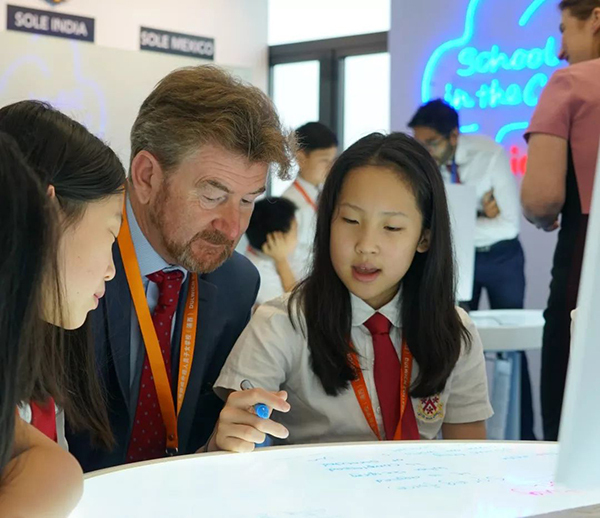 During his visit at Dulwich College Shanghai Puxi, Dr Spence spent a great deal of time with our students, particularly in the Senior School, talking with them about their aspirations for the future. Dr Spence was impressed about how articulate the students are about their learning, and how much they seem to enjoy their experience at the College. He reiterated how much he and students at the founding school in London are looking forward to welcoming Shanghai students to Dulwich College next year for the 400th year celebration of the history of Dulwich in London. In March 2019, DCI students will travel to London to join the Dulwich Olympiad, a truly prestigious event which will bring together around 1,000 students from the network of schools to participate and compete in sports, music, drama and the arts.